This month comes in like a lion with two noteworthy releases from the Dead Guitarists Society. 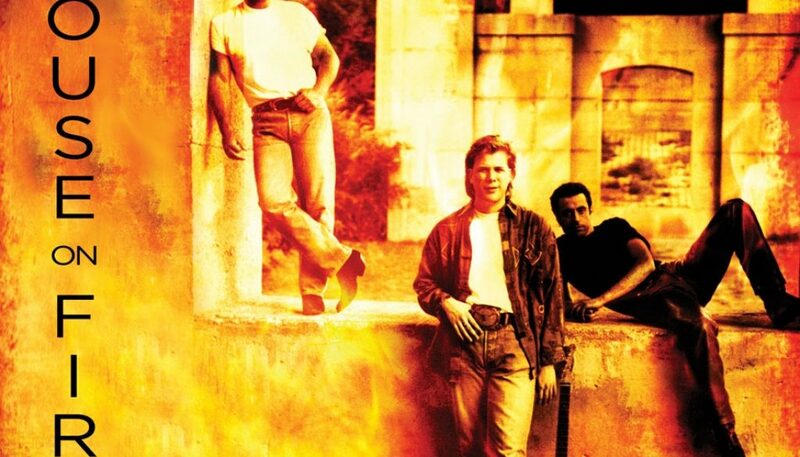 The first of these is “House on Fire: The Jeff Healey Band Demos and Rarities,” which unleashes eleven previously unreleased Jeff Healey Band originals and covers. Die hard fans and eighties movie aficionados waiting for more songs from the Roadhouse movie soundtrack will have to continue holding their breath. These songs are from the 1992-1998 period when Healey was working on “Feel This” and “Cover to Cover.” It’s no Roadhouse rehash. From the opening track, “House on Fire” listeners will be wondering why this music hasn’t seen the light of day sooner. It’s not leftover album filler either. The one-two-three punch of the opening songs: “House on Fire,” “Who’s Been Sleepin’ in My Bed” and “You Go Your Way, I’ll Go Mine” will have you wishing all blues rock releases were this good. The albums biggest problem is the songs get weaker as the album goes on. The songs seem to be sequenced so the best material comes first. The good news is The Healey Family Estate is promising more releases from Jeff’s extensive archive.